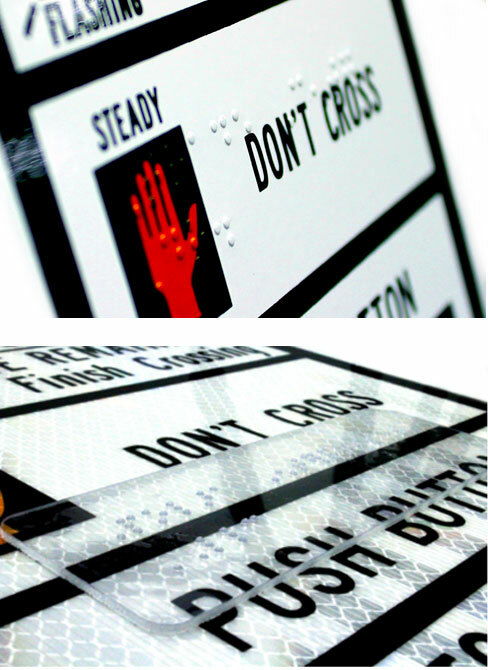 Polara Enterprises manufactures a wide range of pedestrian traffic signs to meet the needs of our customers. All Polara right/left arrow signs are printed double sided, with one side having a left arrow and the opposite side having a right arrow, to ensure that you never have to worry about having the correct arrow direction for your application. We offer signs with 3M High Intensity Prismatic(HIP) and Diamond Grade(DG3) retro-reflective sheeting to meet all agencies requirements. We can also apply additional protective and anti-graffiti overlays on our reflective signs upon request. All reflective signs are printed with 3M inks. For customers that do not require reflective sheeted signs, we also offer powder coated signs. Up to three lines of Braille can be added to all signs upon request. For powder coated signs the Braille is stamped into the aluminum of the sign. For vinyl sheeted signs the Braille is on a clear polycarbonate plaque that attaches to the sign. 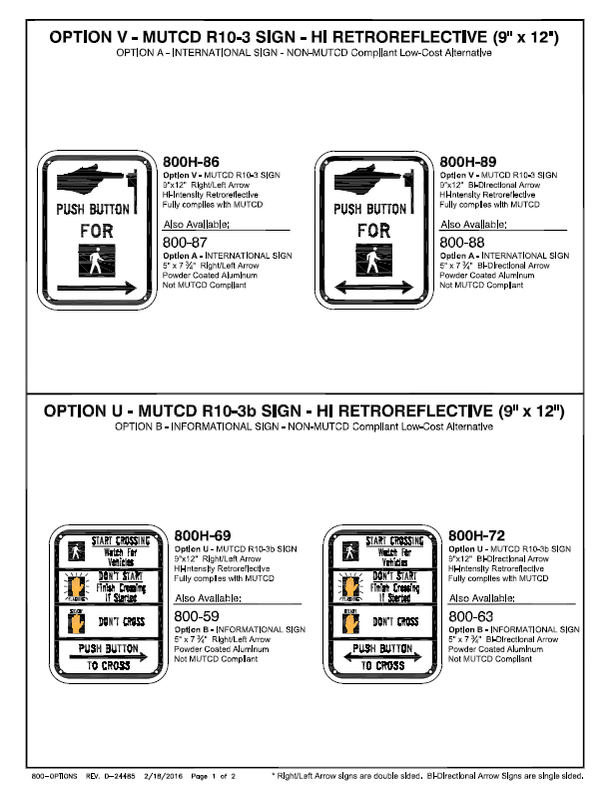 List of all standard pedestrian sign options. Custom signs available on request.